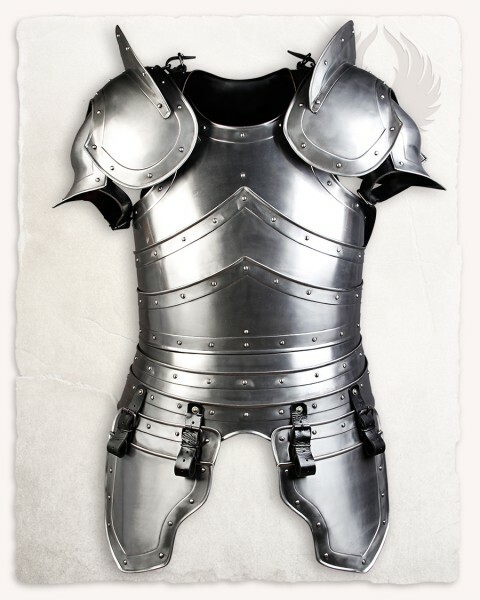 The "Edward" plate armor is reminiscent of typical armor of the late middle ages. The segmented breast plate is dominated by dynamically upwar curved lines. Ornamental beading and riveting give the armor, especially in the blank version offered here, a noble character. Large blade crushers adorn the broad shoulders. The curved tassets can be set in the height by means of belts.